SOUTH Africans have awoken to an apology from Kwaito musician Mampintsha on Saturday following claims he had abused his ex-fiance Babes Wodumo. 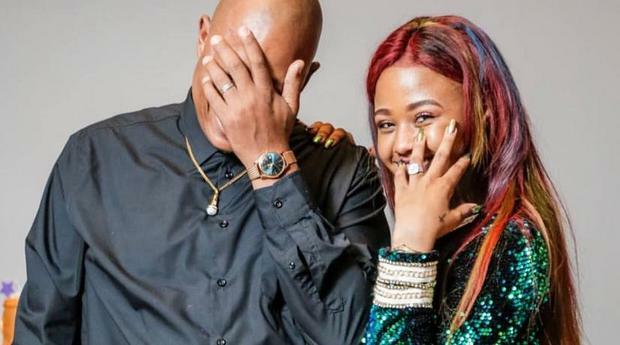 On Friday afternoon on Metro FM’s The Drive with Mo Flava and Masechaba Ndlovu, it was revealed that the former Big Nuz star had allegedly abused her longtime partner Babes Wodumo. In a wordy statement published on his Facebook account on Saturday morning, Mampintsha, whose real name is Mandla Maphumulo, said he was not comfortable with discussing the matter in the public domain, but admitted five things. He claims no innocence, and he may have “overreacted”: “I am no saint, nor do I plead absolute integrity in the claims made in that interview. I may have overreacted in a couple of incidents during our relationship with her over certain things I will not be comfortable to discuss in the public domain. He is aware that he does not own Babes, he writes: “I fully understand that no human being owns or is entitled to another and that every human being is at all times at liberty to take personal decisions, do what pleases him or her and pursue a life of his or her choice regardless of any responsibility he or she may have with another person or the implications and impact those may have on the other person. He recognises that abuse of women is wrong: “No man has any right or justification to abuse a woman in any form whatsoever. I know for sure that many such cases are happening out there that do not get to be known because of the absence of the motive, forces, and courage to get them known to mine. Those too must stop”. He said he is not destructible in nature: “I want to assure South Africans, in particular, our supporters that violence is not in my character, especially towards women. Like a human being in a relationship, I may have been overwhelmed by emotions and overreacted”. He rejects that their relationship could be described as an abusive one: “Where we come from with her, abusive wouldn't best define the nature of our journey. We wouldn't get this far. As for the accuracy of the abuse claims, the build-up to the interview, the motive and the timing....is a matter I will leave to fate to decide its fate”. He indicated on Facebook that he would not be discussing the matter beyond the statement. It is unclear if Babes Wodumo will pursue criminal charges at this stage.